As Pakistanis earn and travel more, it is time to see local tourism as a serious avenue for growth. The Pakistan Tehreek-i-Insaf government has promised to give the nation four new tourist resorts in its first 100 days. 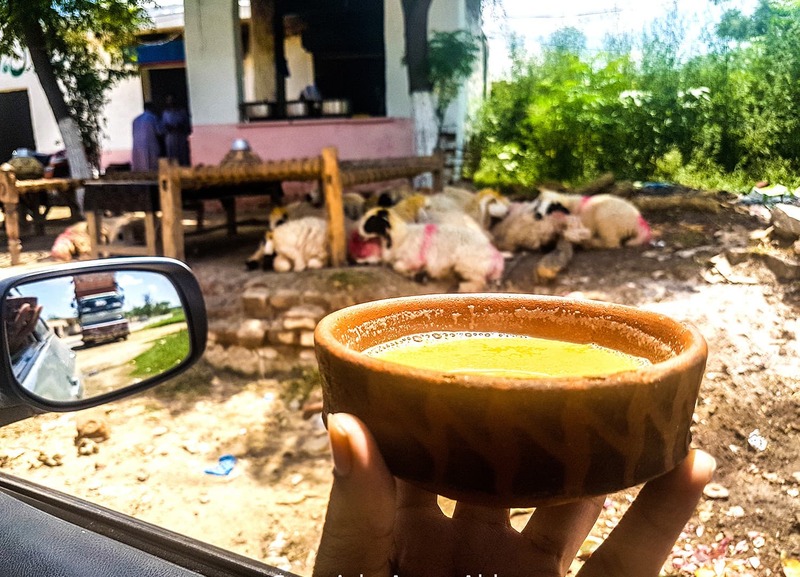 To help the Punjab government and its tourism department, I set out to explore three resorts across the province that are normally not on people’s radars. Whether the provincial government takes this advice or not, my top three contenders for the prize are as follows. Known more for Malik Amir Mohammad Khan, the Nawab of Kalabagh and fearsome governor of Punjab from 1960-1966, Kalabagh has so much more to offer. 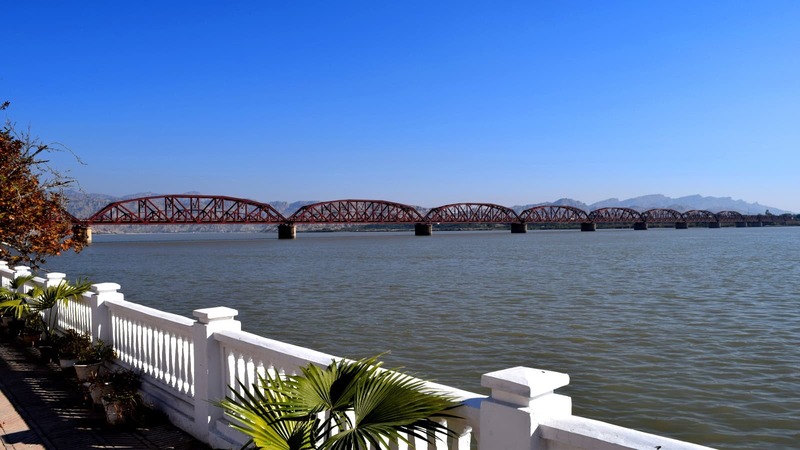 River Indus, starting in Tibet, is contained in a mountain gorge; it is at Kalabagh that the river debouches into Punjab’s plains and what a magnificent sight it is to watch the sun go down over the 1928 railway bridge from the hamlet of Kukranwala on the river’s west bank. 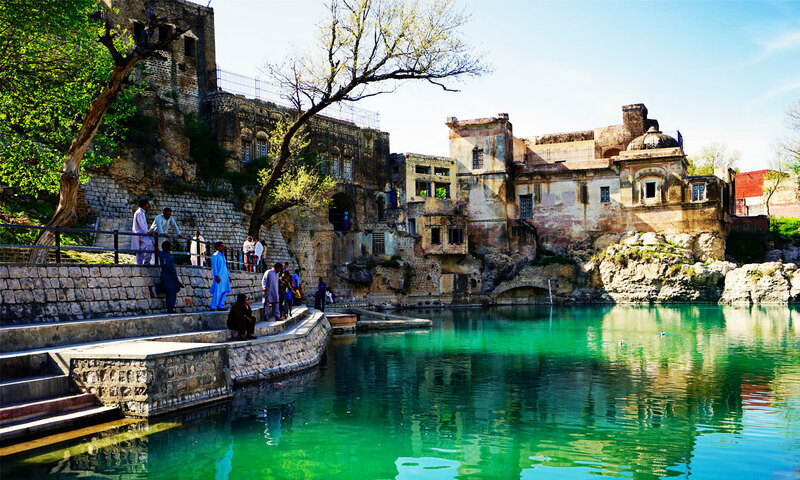 You can take a boat ride upstream to Attock — previously Campbellpur — in a gorge only a few hundred metres wide at places, enjoy the views of old forts or centuries-old Hindu temples on both sides, make a stop at Makhad Sharif to visit the shrine on the banks of the Indus in the last town in Punjab or for a taste of the famous Makhadi halwa. A one-way journey is two hours and the government can put Indus River Authority boats and infrastructure to good use. Back in Kalabagh, visit and explore the historic 1918 Mari Indus railway station and its waiting rooms, along with a 1909 W&T Avery Ltd weighing bridge and a Neale’s token ball signal system. The narrow-gauge train, which started from Kalabagh and went up to Bannu through Isakhel, stopped chugging in the 1990s. The stations at Kalabagh, Isakhel and Bannu are now derelict, but imagine reviving narrow-gauge, one of the only three besides Kohat-Thal and Zhob Valley railways. Kalabagh boasts the second largest salt mines in Pakistan and used to be known for the dwindling art of making decoration pieces and lamps from salt rocks. The icing on the cake is visiting the Kalabagh Fort and the legendary Bohr Bangla at the banks of the River Indus. Both historic buildings belong to the Nawab of Kalabagh and his family and the relics, including guns, swords, medals and pictures remind us of a grand past. The Nawab’s family still nurture some of the finest breeds at their stud farms, and their vast hunting ranges follow modern conservation practices. The Kalabagh Fort and the Bohr Bangla have an immense potential to be converted into heritage hotels — imagine party boats or tourist yachts sailing on the Indus with Kalabagh in the backdrop. Next on my list of resorts is Sakesar, the summer headquarters of the colonial districts of Mianwali, Jehlum and Attock. Now, few people would know that Sakesar also gets snowfall in the winter and the valley boasts wildlife such as deer, foxes, partridges and leopards. Uchaali Lake in Soon Valley. At the top of Sakesar is now a radar base of Pakistan Air Force and the government can request the air force authorities to make an allowance for civilians to enjoy the lovely mountains. The top has some historic Hindu temples, including the Amb temples on the western side. There is another government rest house a few kilometres from the top at Phulwari with astounding views of surrounding mountains and the reddish-blue Uchaali Lake. Speaking of lakes, Soon Valley boasts many protected migratory birds’ wetlands including Uchaali, Kabehki, Jaahler and Namal Lakes. While we have stopped welcoming tourists from the world over, no one can stop these guests from Siberia unless we destroy these natural habitats. 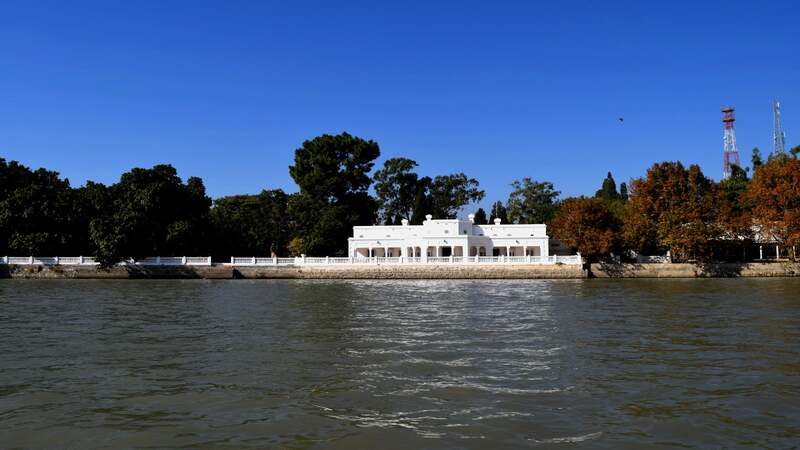 If the Air Force allows, one can visit these lakes, the 1860 police station in Nowshera, the game reserve and the historic forest rest house at Sodi Jai Wali, Dhun canyons, Dev Sharif’s emerald green ponds, the 1933 colonial Kanhatti Gardens near Kabehki Lake, the Nurshingh Phowar temples and enjoy the exquisite rolling mountains across Soon Valley. My personal favourite is the 8th-century forbidden city of Tulaja. Few have dared to explore it yet. 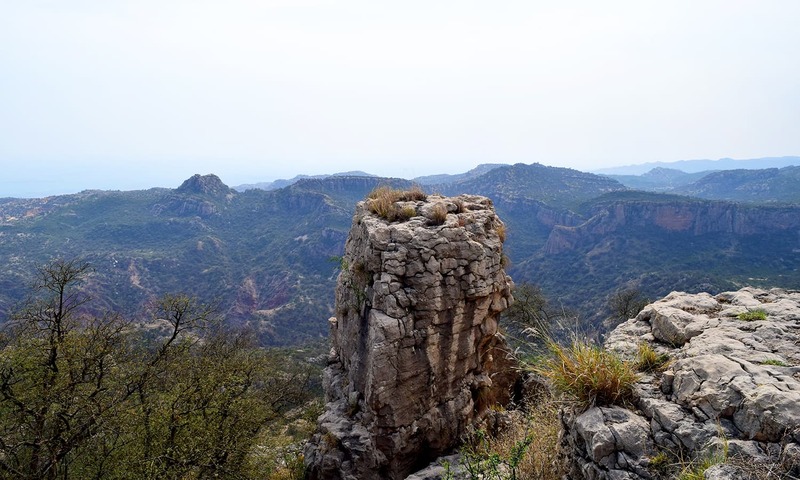 Set on top of a mountain ridge on Khushab Sakesar road, Tulaja is an intriguing, mysterious and abandoned city which still needs to be documented in the archeology registers of Punjab and Pakistan. 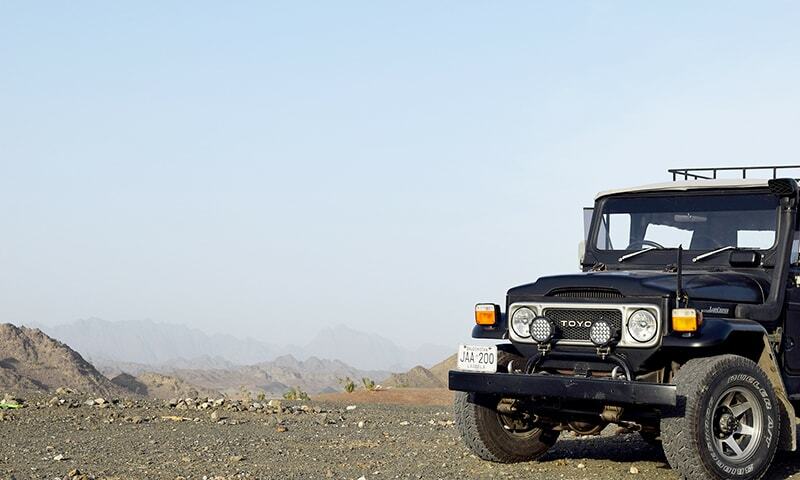 The third suggestion is Fort Munro in the Sulaiman Mountains in Dera Ghazi Khan. At around 6,500 feet, Fort Munro also has the distinction of being the only hill station in south Punjab to have snowfall every few years. Fort Munro was developed by the British sometime in the late 19th century. 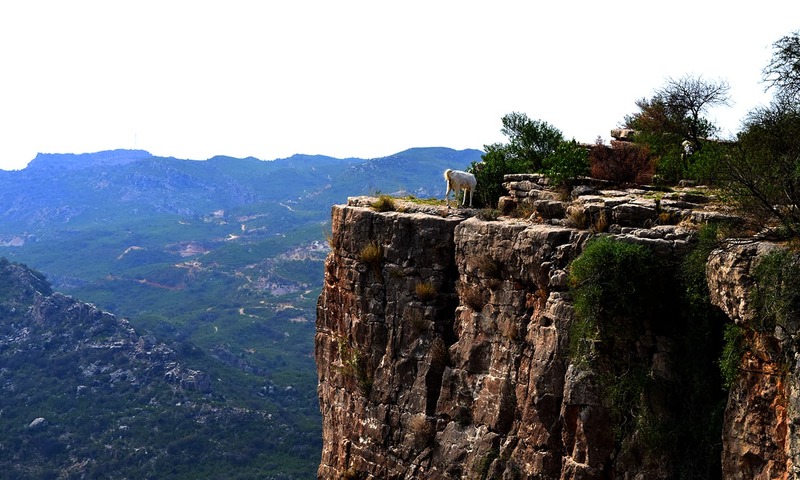 Standing at the mountain ridge, it provides a panoramic view of the surrounding Sulaiman range. In times gone by, the political assistant’s presence at Fort Munro would be announced by a fluttering Union Jack — and later the Pakistan flag — which would inform people in far-flung areas that sahib is at the fort, and they would arrive to get their issues resolved. The historical flag post also signifies the place where all tribal chiefs stood in 1950 to announce allegiance to Pakistan. A colonial billiard table is still functional in one of the buildings and the political assistant’s residence, Sandeman Lodge, reminds us of times when sahib would ride a horse or be carried in a palki from DG Khan all the way to Fort Munro. 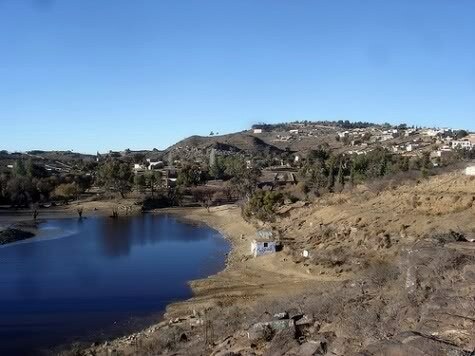 Damas Lake at Fort Munro. Just beside Sandeman Lodge, there is a small Christian graveyard with some very humbling epitaphs, still preserved but needs to be protected. 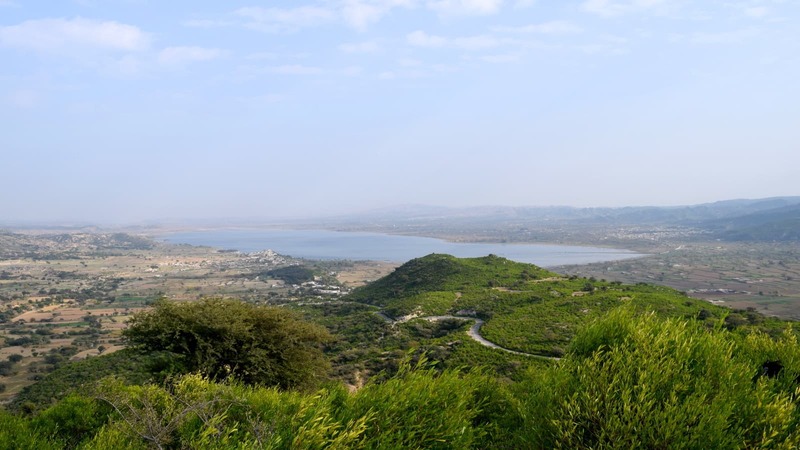 There are some nice orchards at the base of Fort Munro and the man-made Damas Lake provides for both water and recreational facilities. Fortunately there is a Fort Munro Development Authority at work and provision of some residential facilities and sports like paragliding, cable cars or boating can attract thousands of tourists. More than building individual resorts, I would also suggest converting the whole of Punjab into a tourist resort. The government should develop a tourist map for each district that is available online. Just as an example, if I tell someone that Okara has a lot of tourism potential, I am sure to get a quizzical gaze. 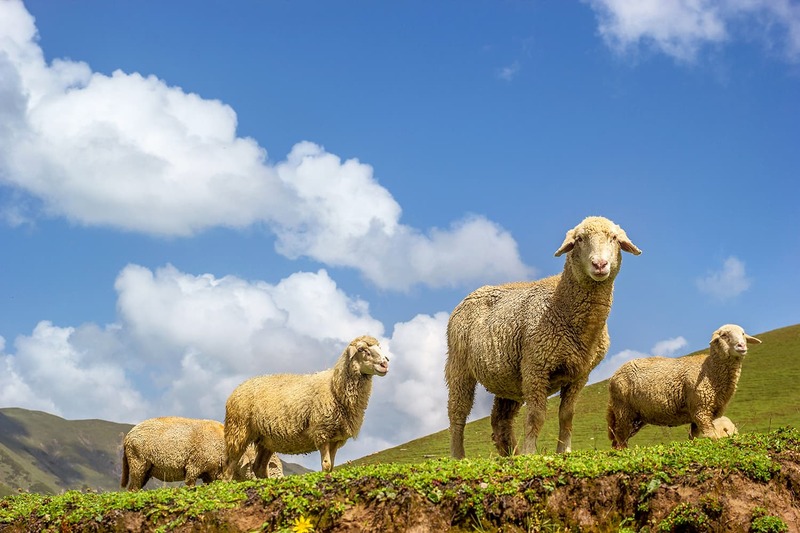 Now Google Bhuman Shah, Depalpur Fort, Gogera, Ahmad Khan Kharal mausoleum, the banks of the River Ravi, Renala Khurd Hydropower Plant, Mitchell’s Farms, Naulakhi Kothi, Chaakar Khan mausoleum, and you would find heritage gems spread all across this otherwise rural farming district. Danoi forest rest house, built in 1928. And imagine Attock with its colonial relics like Attock Khurd and Basal Junction railway stations, Khushalgarh railway bridge, Attock Fort, Makhad shrines, the beaches of blue water Haro and Soan Rivers, the game in the Kala Chitta Range, the Panja Sahib shrine and the Mirjal farms and hunting range. We have over 300 canal rest houses and hundreds of forest rest houses spread all over Punjab. 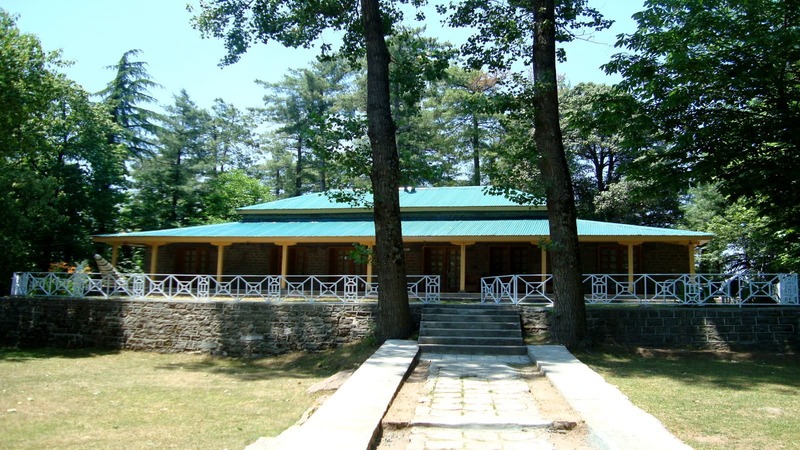 Start with selecting a few such rest houses, such as Head Islam canal rest house near Vehari, 1922 Pathar Kothi on River Jhelum, 1928 Danoi forest rest house or the lovely 1913 Patriata forest rest house and lease them to some young entrepreneurs or established hoteliers. Patriata forest rest house, built in 1913. Imagine the Hashwanis or Serena taking over these beautiful buildings and converting them into boutique hotels. Give these enterprises generous tax and other incentives; once we get tourism going in these areas, the local economic activity would far outpace any parochial tax or other government revenue benefits. The first basic requirement for Punjab as well as Pakistan is to have credible data on tourist inflows, resorts and heritage sites, and the official tourism departments should be restructured as facilitators of tourism. While Khyber Pakhtunkhwa and northern Pakistan are endowed with mountains and high valleys, Punjab has comparative advantage in heritage, religious tourism and the landscape also varies from rolling mountains of Potohar to the deserts of the south with five rivers across. Every district should have a tourism plan with points of interest identified along with provision of some basic infrastructure. 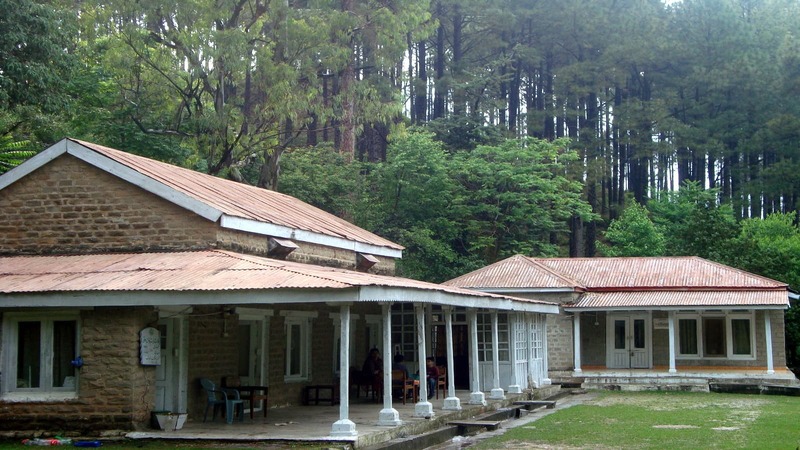 At least one government rest house should be identified in every tehsil to be outsourced to private entrepreneurs as public-private partnerships and available to be booked online. Punjab has mainly two seasons and the government should focus on north Punjab in summer and south and central Punjab in winter. With increasing disposable income, people are travelling and vacationing more and it is time to start focusing on tourism not as a luxury, but as a serious avenue for job creation and economic growth. Extremely lovely places which are I wonder why still not well known by people. Nice article. All of these areas are in West Punjab, where even majority of Punjabi population never go. The whole Punjab population just go to Murree or northern areas on vacations once every 2 months or so. That whole area of Western half of Punjab appears to be a totally different Punjab. Scenes abound in all parts of the world.....mountains, rivers, lakes, etc. What distinguishes one place to another is the facilities and amenities. From roads to toilets and running water, will determine who and how many come. This requires investment in its infra-structure, which is how Serena has done and developed a reputation, albeit expensive. Then cleanse these from corrupt caretakers, so vacationers feel secure with online reservations. Take foreign countries' travel protocols and implement them; soon everyone will get used to this and become your marketeers. Very good research for exploring tourism , Pakistan and apportunities for income generation. 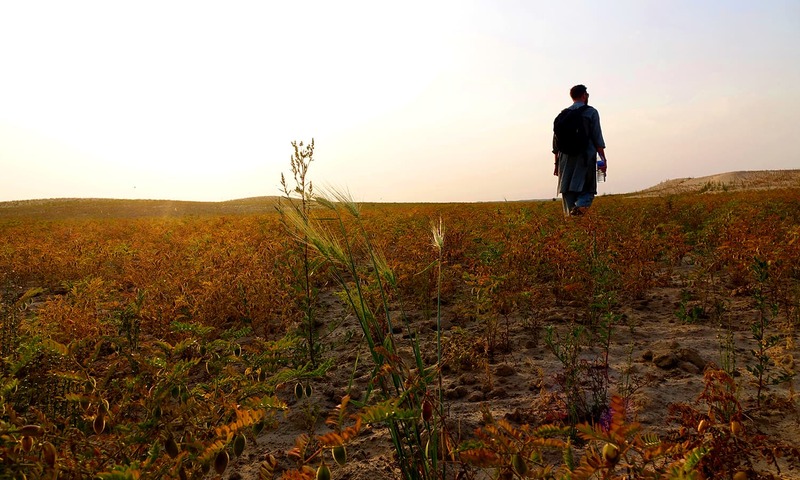 Positive activities for the youth any utilization of natural resources, beautiful Pakistan. Love Pakistan . Punjab is beautiful province with astounding beauty and Worth seeing places especially old temples , Forts, shrines , deserted areas , ancient sites like that of Harrapa attracts tourts from around Pakistan . Good information by Mr. Omar. Mukhtar. Our tourism department is sleeping. They should wake up and facilities of tourism and entertainment should be given to general public. Well introduced some places of Punjab for tourism. Its time to develop tourism as industry in Pakistan. If you have ever been in Sialkot, one can enjoy the fall of River Chenab at Bajwat valley and under score the beautiful scenery of Kashmir and Himalaya mountains just passing through the North of Sialkot. 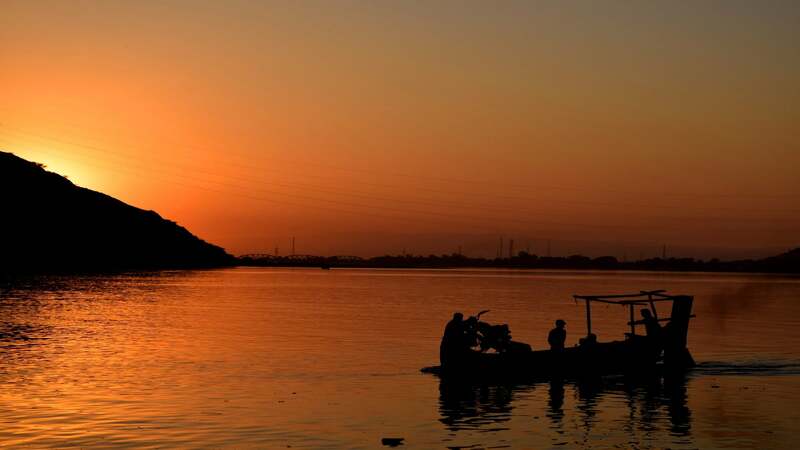 Bajwat is almost an island of 10x17 kms., surrounded by River Chenab, River Munawar Tawi and Jammu Tawi, ultimately joining at Head Marala, a few kilometer away from Sialkot International Airport (SIAL). Sialkot city itself is more than 4000 years old and has a heritage of Raja SAAL the founder of Sialkot City. Historical Well's still offering water for sick and ill people. Very special and odd cottage industry only engaged in exports to global markets. Four seasons and rich vegetables, super rice farms, rivery wheat flour, smart and well educated people. Still many places to attract tourists. Most relevant information; would like to explore it. Superb! I can vouch for the potential of Kalabagh in which region I spent many years in a construction project in early 90s. It was a place and culture different from any other in Pakistan. The bank of River Indus spreads out to over 20 km in width after freeing itself from the mountains holding it tight up to Kakabagh. And I did have the chance to jump on the narrow gauge railway which used to operate till that time - what an experience it was. Where is Pakistan Tourism Development Corporation ( PTDC)? or the Punjab Tourism Development ..?? Amazing how thse department are still existing and yet they do not work for the very mandate that they were created for. @Jim Bo : Well said. These areas need to be developed according to international standards, that will require some initial but profitable investment. Nice effort to boost up tourism interest...fort munro is best place to visit its just 50km away from my home and I always used to go there after every month..
Amazing places - I just want to pack my bag and go exploring. Tourism starts at home. I look forward to Imran Khan´s promise of resorts. Pakistan has the best places for resorts: mountains to deserts to the beaches of the Arabian Sea. Wow. So much beauty and it looks serene calm and just beautiful. It would be good to put these sites on the tourism map of Pakistan. Already looking around places near to stay and visit these beautiful places. Kayla has and river Sindh look utterly beautiful. Pakistan has a rich assortment of pre Islamic edifices which has been sadly left in ruins. Be like the Egyptians who take pride in their previous Islamic past. 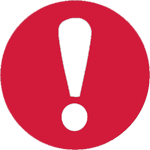 our civil servants have no interest of your recommendation because they have no time. I visited first two sites mentioned above ...indeed these sites are full of capacity to gain attention of tourists. Keep the rest houses simple and in the hands of the govt so they are affordable and accessible to all. don't turn them into boutique hotels, please. what is needed is good, safe transport and roads. Great info & pictures too. Hope govt will seriously look into the suggestions.